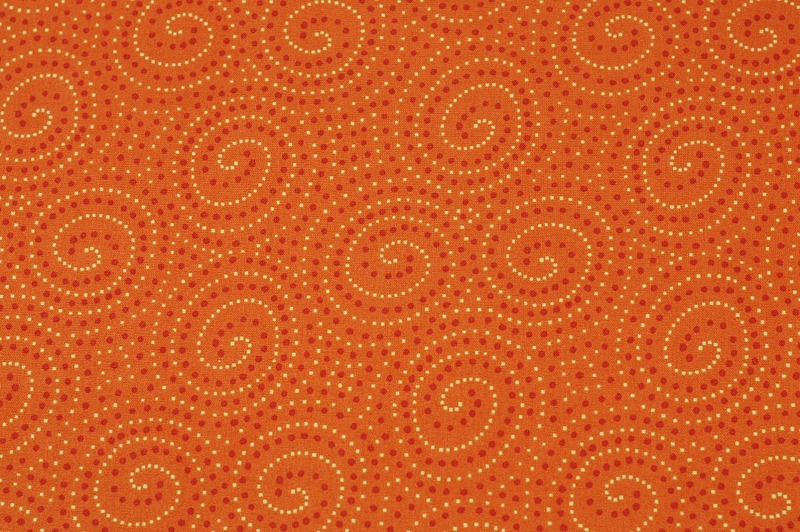 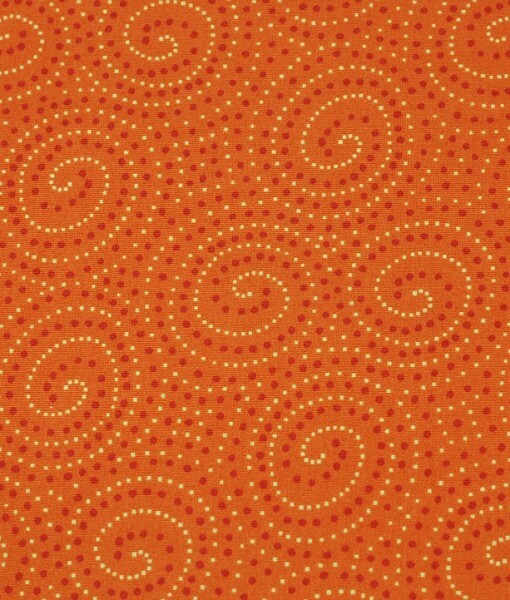 Spirals of red and cream dots on an orange background reminiscent of the Australian outback desert in a beautiful Aboriginal art design! 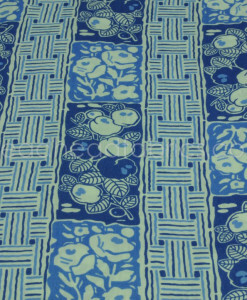 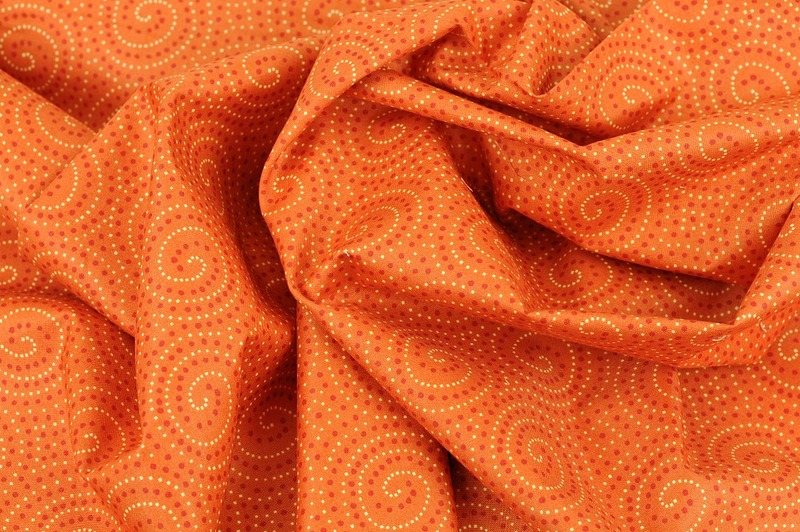 Medium weight cotton fabric can be used for dressmaking, quilting, light home decor projects, bags and more! 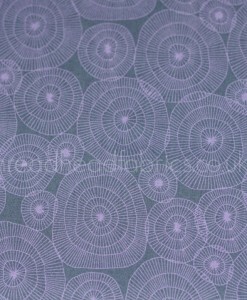 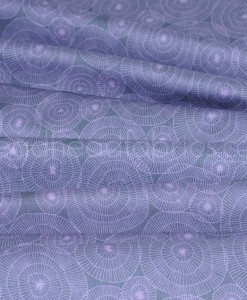 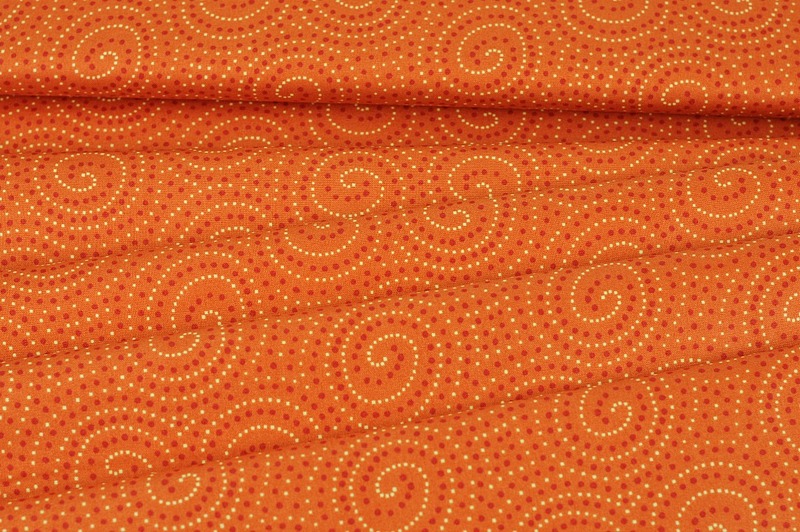 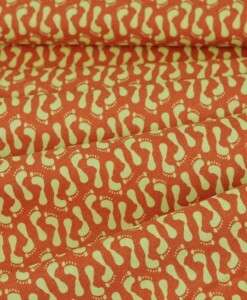 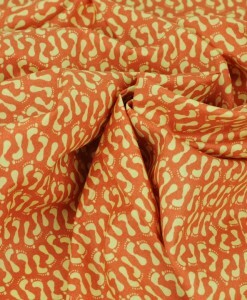 Walkabout Spirals on Orange is from UK designer Beth Studley’s unique and artistic Walkabout range for Makower UK’s Henley Studio Collection. 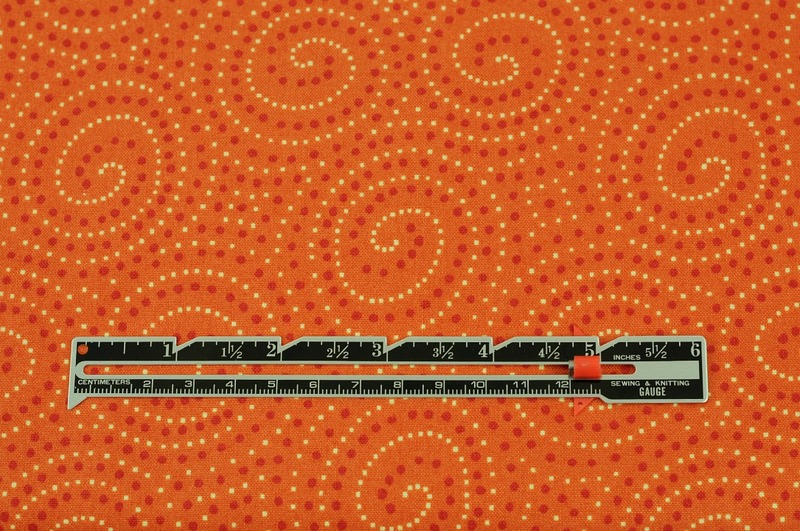 This bright, interesting design is just what you need for distinctive dressmaking and creative quilting projects. 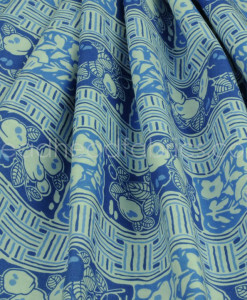 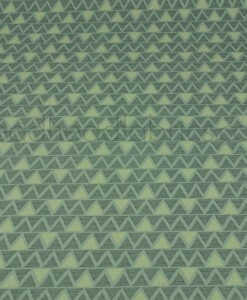 Give a modern flair to your home decor plans with this truly beautiful fabric. 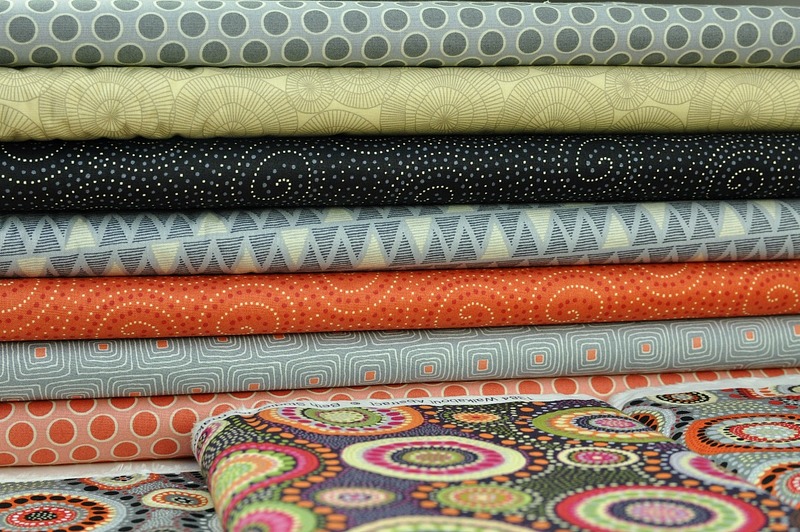 Just picture the gorgeous cushions you could create!